My journey really started when I was a kid - my dad is a clothing designer as well (mainly denim) so I’ve been surrounded by the apparel industry my entire life… but for the past few years I’ve been more focused on local and handmade as opposed to mass market. I’ve worked in a few different companies, but finally started doing my own thing with Lo Life Shop and finally putting something out in the world that is 100% my vision.. it’s really nice and refreshing to put out something you thought up from scratch and have it be received with such positivity and interest. I know you trained at Vancouver Community College. Talk about the highs and lows of studying fashion design. What did you find easy? What was a challenge? Overall fashion school was a challenge - but a fun and beneficial one. VCC is great for learning hands on techniques, and is very arts focused. I feel like I gained a lot of knowledge and skill I wouldn’t have received else where, especially considering I took the evening part time program. 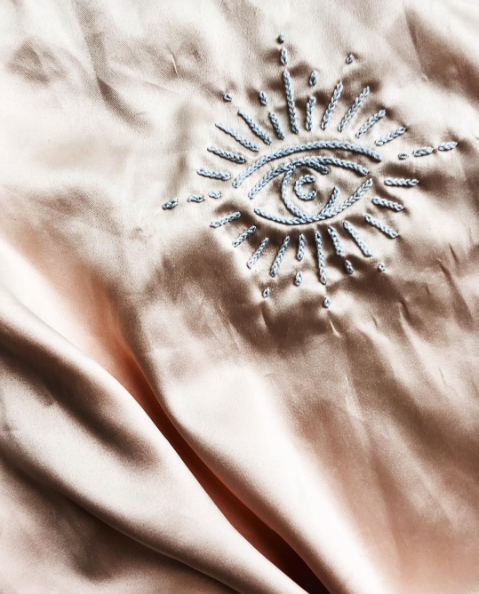 All of the highs came from gaining a new skill to add to my resume, from french seams to making a pattern from scratch. Lows were only when I would get stuck understanding - but the teachers are all so helpful that the lows didn’t last for long. I’ve found that as a designer I’ve always leaned towards a more grunge/street wear focused aesthetic. 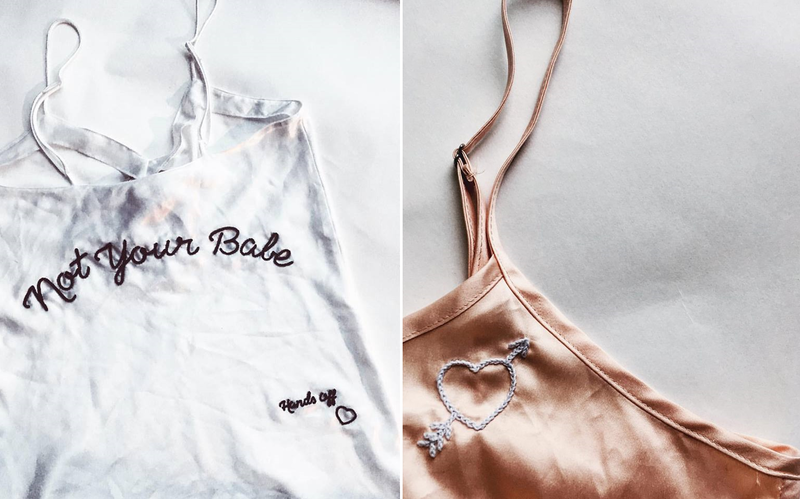 With my brand Lo Life I upcycle clothing using hand embroidery - from funny phrases, to feminist focused apparel everything has an edge that is easy for anyone to find themselves in. I enjoy being inclusive, and giving people either what they’ve always dreamt of - or sparking their interest in something that they they never thought of before. Yes! I love up cycling - my previous collection that I showed at VFW FW17 was an entirely up cycled collection, and I also upicycle clothing daily with my Etsy shop: Lo Life Shop. I enjoy problem solving, and when it comes to up cycling there you’re always having to look at garments in a different way, take them apart and put them together in ways people wouldn’t expect. With my Etsy shop it’s a little less about problem solving - and more about bringing new life into thrifted/vintage apparel.. and sometimes into garments people still own! I do a lot of custom jackets and t-shirts.. it’s great to hear from people that a jacket that might have ended up in a landfill is now their all time favourite. 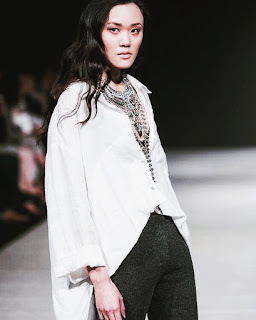 My inspiration for this runway look is casual day wear with style infused from some of my favourite female icons - Debbie Harry, Patti Smith, Erin Wassun, Zoey Kravitz, Alison Mosshart… the list goes on for awhile! HahaWhen ever I design I always think about my “Lo Life” girl - I love thinking up characters each season… what looks would be gravitate to, how would she interpret this look. I always find it easier to think about her and her lifestyle and what she would need in her wardrobe. The audience can expect a casual look with an edge that I think will intrigue them - I always want to infuse a little rock and roll into everything I make. I’d like the international fashion audience to know that everything I really love making new stuff, out of old stuff. 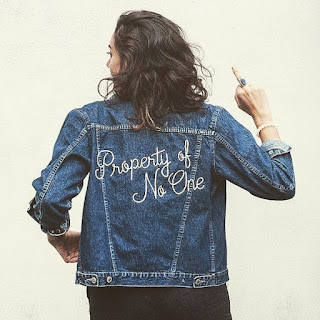 Whether it’s hand embroidering a denim jacket or sweatshirt.. or doing an entirely up cycled outfit - everything I choose to make will have a history to it. I love that I’m keeping waste out of landfills and am part of a movement that’s helping to make the world a little cleaner. I know the fashion industry can be a bit of a mess maker, but I love that I’ve carved out a little place to make it a little greener. I’m in no way a vegan hippy chick - I eat cheese, and eggs.. and occasionally bacon haha but working with a plaid shirt that has the label all well worn and well loved makes me feel like I’m giving it a new life..and showing others that everything doesn’t have to have a label dangling off of it to be special or interesting. At the moment I work a full time day job + do Lo Life evenings/weekends/holidays/sick days haha .. long term - I have a bit of a pipe dream of selling everything and buying an airstream.. and just ride around Canada and the U.S. setting up shop at local markets and festivals.. and discovering vintage treasures along the way, but of course there’s another part of me that wants to head to Europe and just see what happens. At the moment Lo Life is doing pretty good (not full time pay check good haha) so it would be great to ride it out and see what happens.